My wife and I dropped off our kids at the in-laws’ house just after the break of dawn that Sunday morning. Even though it was early, we hustled back to the car with nervous energy and jumped in. We exchanged a knowing look — as well as a gulp. This was going to be a special day for so many reasons. Erika and Luke had chosen this to be their wedding day, and had chosen me to be their wedding photographer. 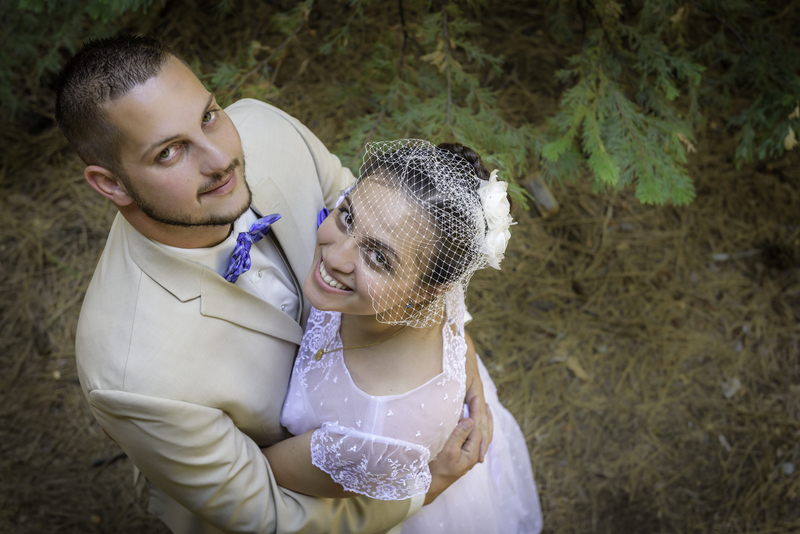 These two lovebirds had been Best Man and bridesmaid in another wedding I had photographed a few months before. 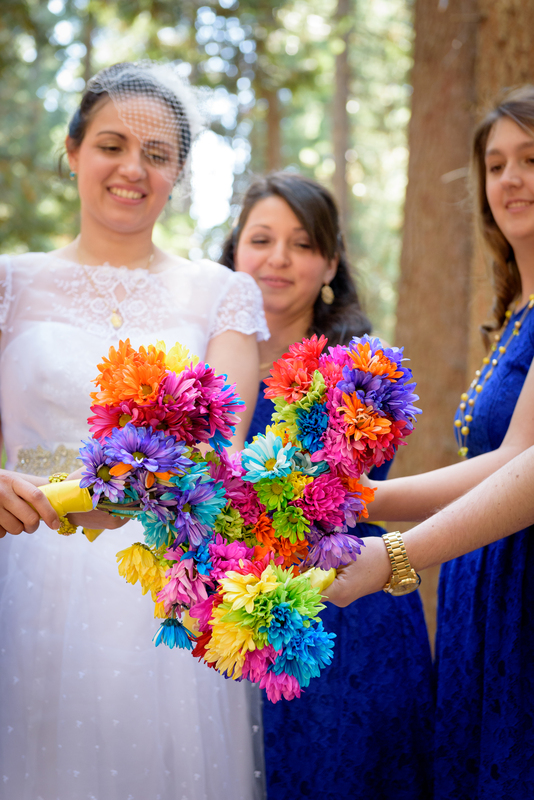 After seeing my work, they offered me the chance to do my work at their own big day. 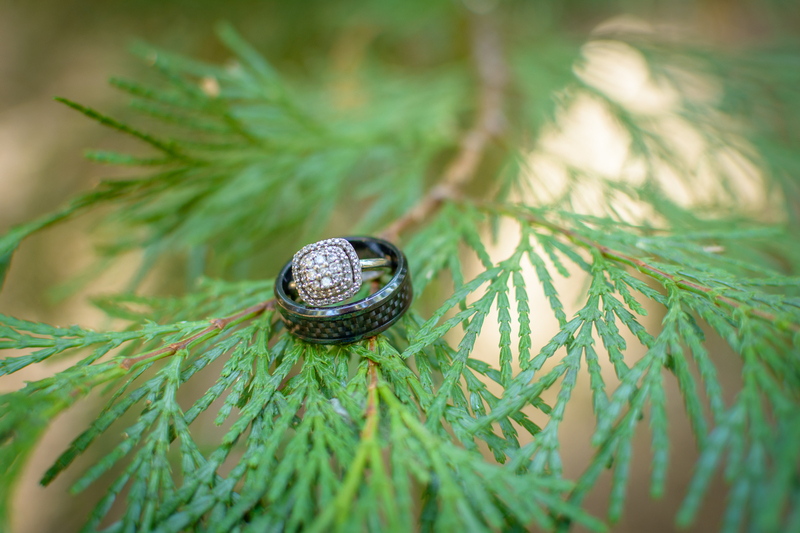 I was excited to see them again as well as to get behind the lens at my next wedding shoot. 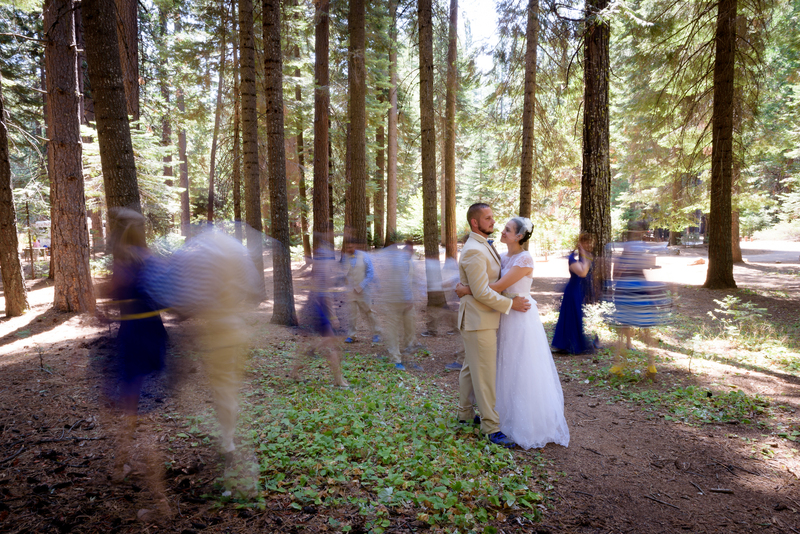 I was even more excited when I learned that they would be married at the beautiful and otherworldly Calaveras Big Trees State Park. And yet you’ll recall that both my wife Erica and I were traveling in the car that morning. She had packed her own camera and gear for the day to be my second shooter at the wedding. This would be our first wedding shoot together! And this would turn out to be a significant problem. More on that later. I pulled our car under the shade of some of some Sequoias a few minutes before nine. I was relieved to arrive a bit earlier than planned after a couple hours of racing along the scenic roads of the Sierra Nevada foothills. Perhaps my nerves had weighed my foot down a little harder than usual on the gas pedal? We stepped out of the car and breathed the cool, clean air. Relief. We put on our backpacks and set off to find our bride and groom. Luke stepped out of his car with a smile on his face, and hardly a trace of pre-wedding jitters to be seen. I saw nothing but excitement in him throughout a morning that would prove full of preparations and posing. Maybe it was great groomsmen keeping him at ease, or maybe it was that he was in one of his favorite places in the world. Whatever the case, he was drinking up his wedding day with joy. 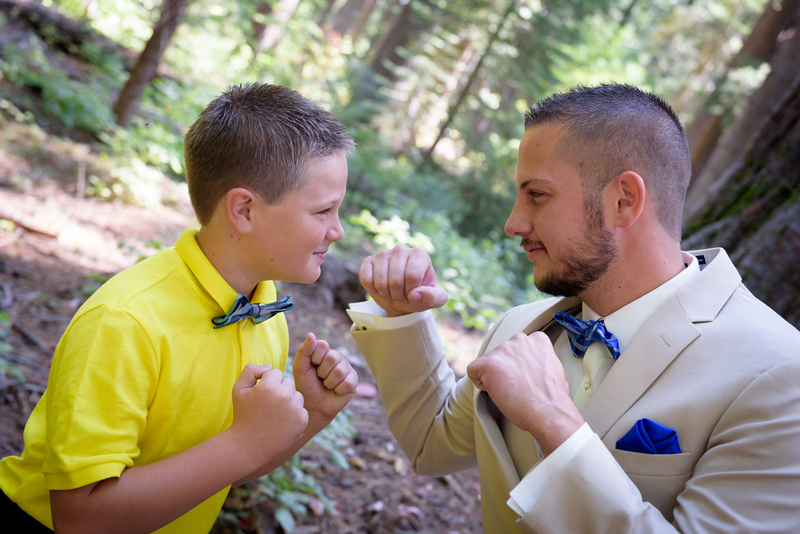 My wife split off with Erika and her bridesmaids as I went my own way with the boys. The ladies made some final wardrobe and makeup preparations in a tiny corner of the reception hall, making for some great shots in close quarters. Meanwhile, I followed Luke and company over to Discovery Stump (32′ across!) for some photos of them all together. 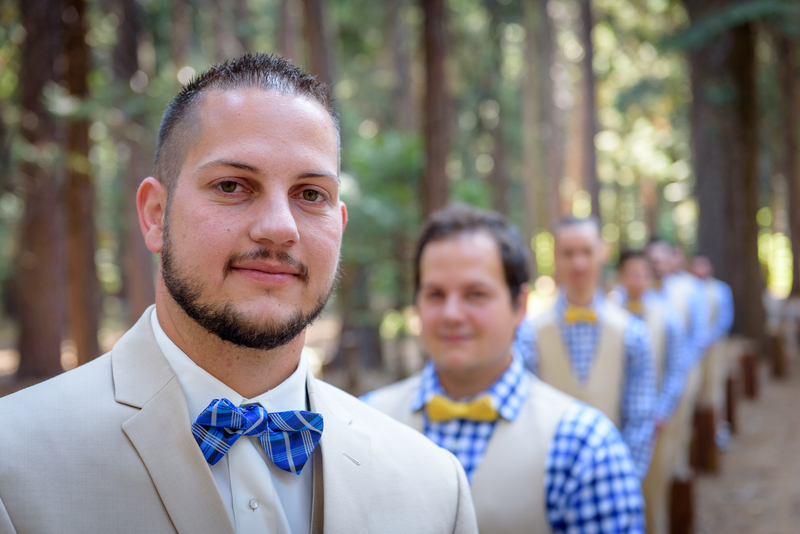 I had hiked around this area before, which made it all the more fun to return to snap some photos of colorfully dressed gents against a wooded backdrop. 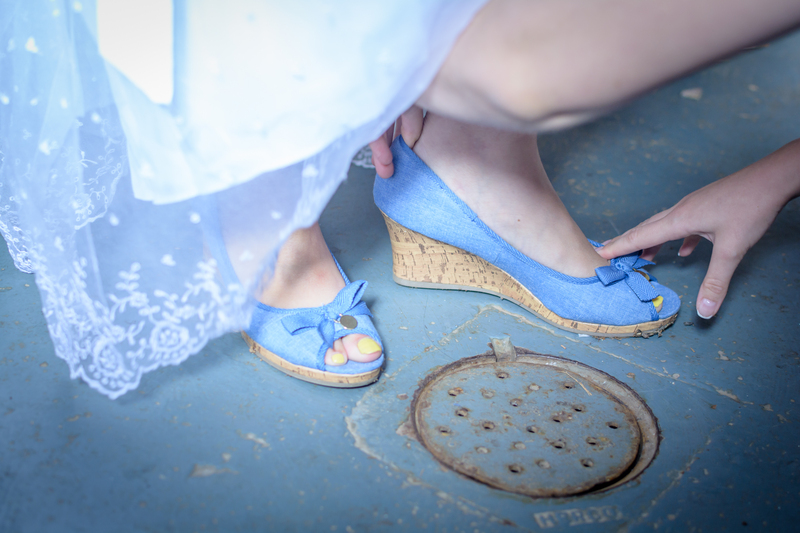 Their blue tennis shoes were a killer touch! Before long, the time had arrived for the ladies and gentlemen to meet up, and for the groom to see his bride for the first time in her beautiful wedding dress. The bridal party all teamed up to ensure that he didn’t peek as Erika climbed the stairs up to her man. 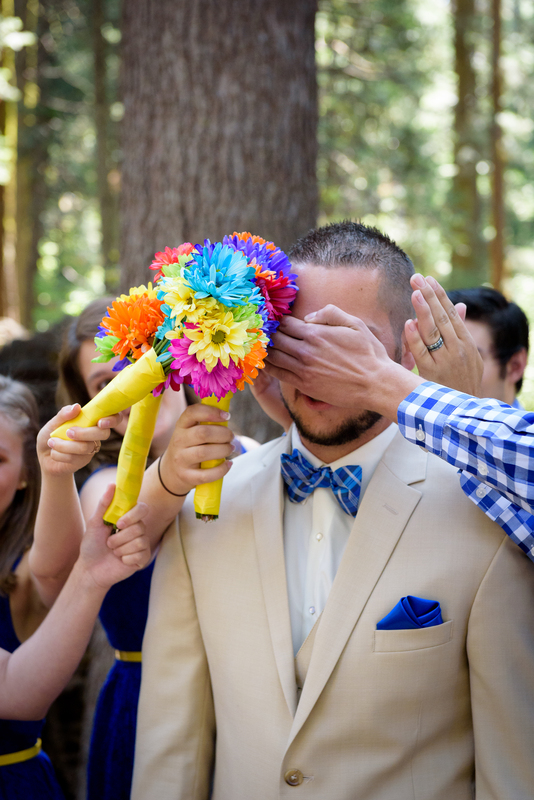 When they removed their blocking hands and bouquets, the look on Erika’s and Luke’s faces were priceless. They embraced with a clear look of relief that the moment they had waited for would soon come to pass. 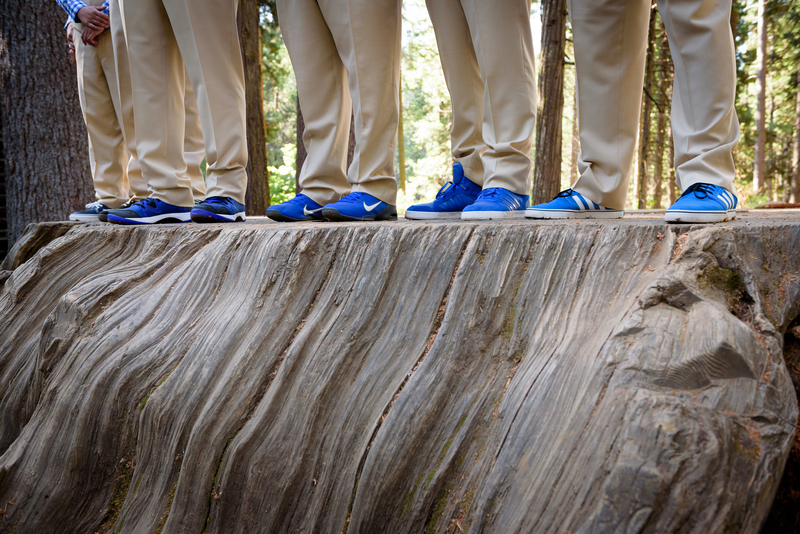 They seemed to walk on air through all of the group and family photos that would come before the ceremony itself. And you know, I don’t recall ever having to prompt them to smile. 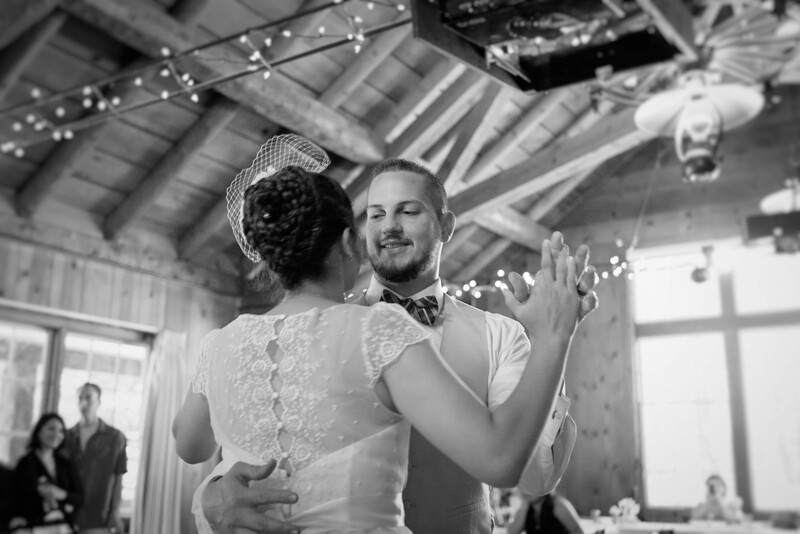 In the hours that followed, we carried our cameras around those woods to capture a whirlwind of memorable moments for Erika and Luke: Erika escorted down the aisle by a variety of loving souls. Their dear (and hilarious) friend Ben officiating the ceremony at the outdoor amphitheater. 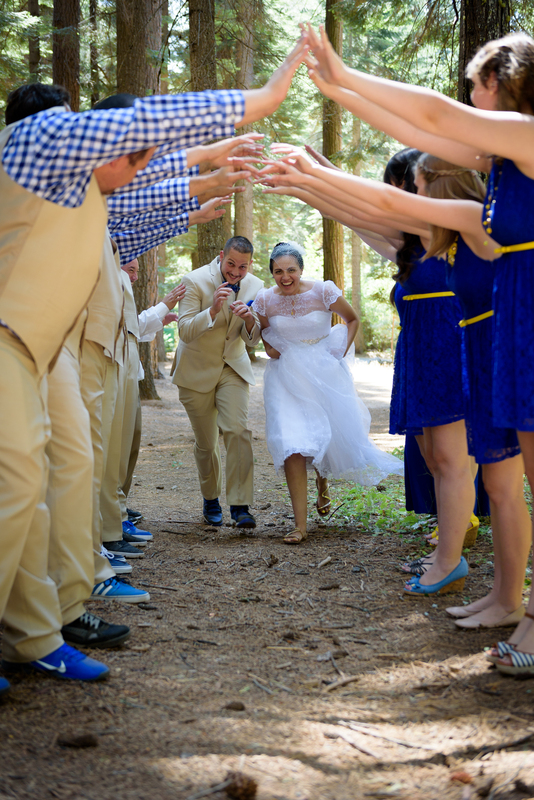 The new Mr. and Mrs. running through a tunnel of love made by their bridal party. A brave bride climbing atop some fallen logs with perfect poise. 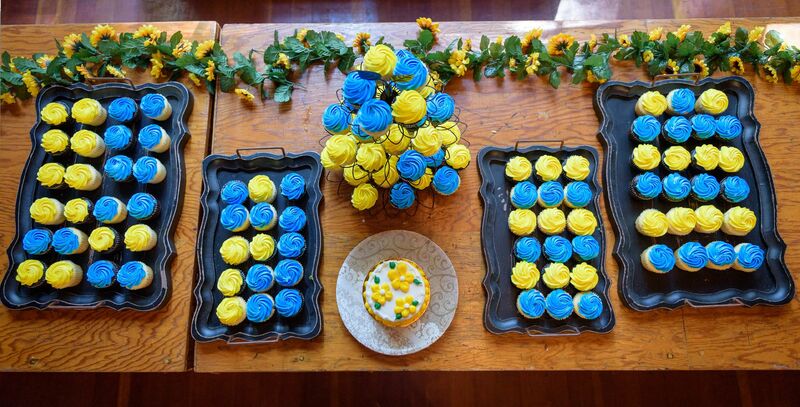 The cupcakes, THE CUPCAKES! And a first dance in a room full of loved ones gathered from near and far. There was only one problem, which I alluded to earlier: my assistant photographer had the same name as the bride. I would offer instructions to my Erica about where to move, and Erika in white would move instead. Or I would ask Bride Erika to pose in a certain way, only to have my Erica ask me to repeat my instructions — assuming they were for her. Before long, I figured out that my wife and I would work much better as a team if I just called her “Babe”. Aside from that, it was a breeze to work as a team with my wife, and a delight to come away with images of which we are both proud. Erika and Luke, I pray that your lifetime together is just as warm, loving and God-honoring as your wedding day. And thanks to you both for letting us be a part of it. If you’re in need of a wedding photographer, check out the range of wedding photography packages I offer — from budget to destination. 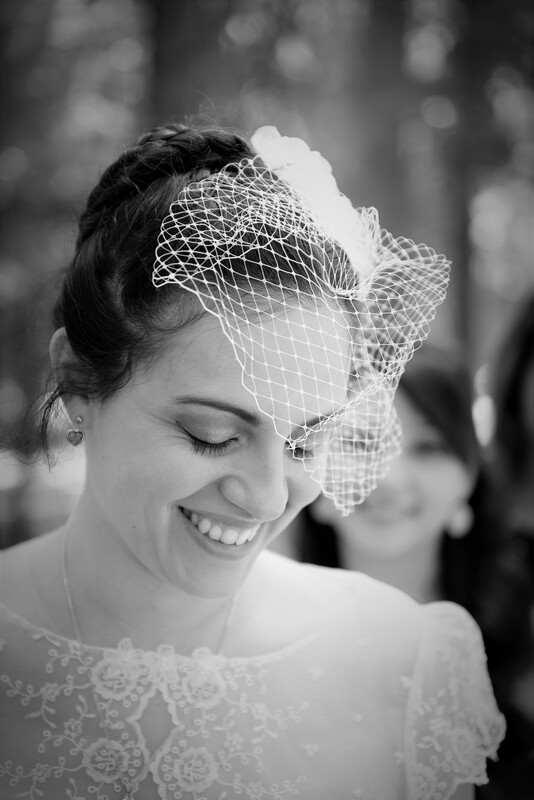 I’d love to capture memories from your big day! I neglected to mention all the sap in the post, didn’t I? Thanks for rescuing the blanket though, Justine!